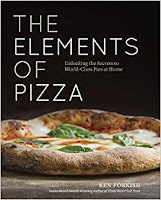 A follow-up to the James Beard and IACP award-winning book Flour Water Salt Yeast, featuring an unprecedented look into the mechanics of pizza-dough making, plus scores of recipes for pizzas in every style: Neapolitan, Roman, American pan pizza, New York-style, creative flat breads, gluten-free pizza, and more. Ken Forkish is one of the most respected and trusted bread-baking authorities in the world. 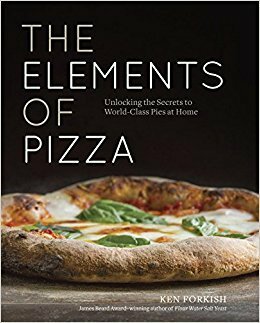 In The Elements of Pizza, Forkish turns his attention to pizza, offering readers a complete education on the craft of artisanal pizza-making, with techniques and insights from the very best pizzaiolos in Italy and the United States. Forkish's methodical and rigorously tested dough recipes prove that even home bakers can make incredibly flavorful, texturally sublime crusts. And his inspired topping ideas will get you thinking outside of the cheese-and-pepperoni box, opening your eyes to the wide world of delicious, seasonal pizza.